What are the sounds unique to your neighborhood? 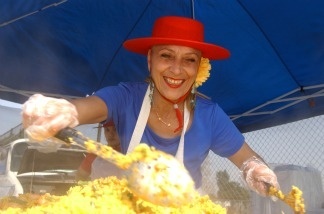 A vendor prepares paella, a Spanish dish, at the Hollywood Farmers' Market. Fill out the quick questions below to let us know. Tell us where you live now and what it sounds like. You can even send us audio using SoundCloud.